Cosmetic product labels: estimated (e) symbol. When to use it? Cosmetic product labels: estimated (e) symbol. When to use it? European Union is an average fill market, meaning that that cosmetic (and other) products on average shouldn’t contain less than the nominal quantity written on the label. United States, on the other hand, are a minimum fill country. You can see the Estimeted or “e” symbol (the correct name of the “e” symbol is the Estimated Symbol) on many cosmetic and other products sold in the EU and also worldwide, although this symbol is voluntary and manufacturers are not required to use it on their product labels. This symbol indicates that the manufacturer complies with the EU Directive 76/211/EEC. 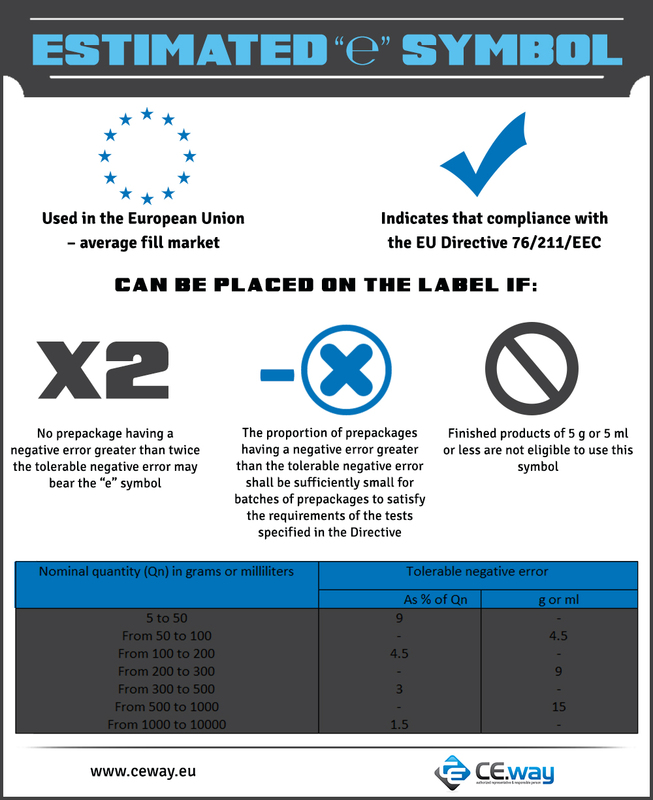 The “e” symbol only applies to goods shipped within the EU and has no meaning for those shipped into the EU from non-member states (While some US manufacturers list this symbol on product labels, they typically do so to copy other labels or give the impression that their product is approved in the EU. The United States is a minimum fill country. This difference makes it difficult to comply with both market regulations). The Cosmetic product labels Estimated Symbol should be at least 3 mm high and placed in the same field of vision as the indication of the nominal weight or nominal volume. This letter shall have the form shown in the drawing contained in section 3 of Annex II to Directive 71/316/EEC.